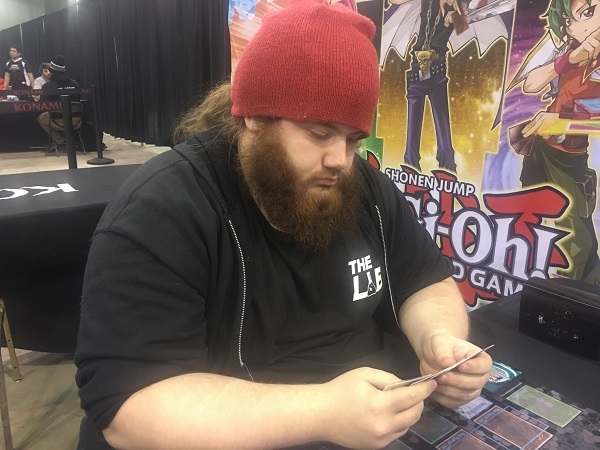 Semorris Powell from Indianapolis, Indiana is currently 2-0-1 with his Photon Galaxy Deck. Now, he’s Dueling against Isaac Sarver from Houston, Ohio who is 2-0-1 with his Prank-Kids Thunder Dragon Deck. Powell’s Galaxy Photon Deck is one of the coolest Decks in the tournament this weekend; but Sarver’s Prank-Kids Thunder Dragon Deck is explosive and capable of incredible plays. Only one of these Duelists can win the Round 4 Feature Match. It’s time to Duel! Powell won the die roll and chose to go first. He opened up with Ash Blossom & Joyous Spring, Galaxy Knight, Galaxy Expedition, Pot of Desires, and Trade-In. He activated Trade-In and discarded Galaxy Knight to draw Photon Orbital and Called by the Grave. Next, he used Pot of Desires to banish the top 10 cards of his Deck face-down and draw Galaxy Wizard and Galaxy-Eyes Photon Dragon. He Summoned the Wizard and then used the effect of the Photon Orbital in his hand to equip it to Galaxy Wizard. Then, he used the effect of his Orbital to send it to the Graveyard and add a Galaxy Soldier from his Deck to his hand. He discarded Galaxy-Eyes Photon Dragon from his hand to Special Summon Galaxy Soldier and used the Soldier’s effect to add Galaxy Knight from his Deck to his hand. Next, he activated the effect of Galaxy Wizard to increase its Level by 4. He activated Galaxy Expedition next, allowing him to Special Summon Galaxy-Eyes Photon Dragon from his Deck in Defense Position. He then combined Galaxy-Eyes Photon Dragon and Galaxy Wizard to Xyz Summon Number 90: Galaxy-Eyes Photon Lord in Defense Position! He Set Called by the Grave before passing his turn. Sarver activated Prank-Kids Place and tried to use its effect to search for a Prank-Kids monster, but Powell discarded Ash Blossom & Joyous Spring to negate the effect. Sarver ended his turn with no other play. In the End Phase, Powell added Photon Sanctuary to his hand with the effect of Number 90. Powell drew Monster Reborn! He sent his 2 monsters to the Graveyard to Link Summon Galaxy-Eyes Solflare Dragon. Then he used its effect to add Galaxy-Eyes Photon Dragon to his hand, and Normal Summoned Galaxy Knight. He activated its effect to Special Summon a Galaxy-Eyes Photon Dragon from his Graveyard in Defense Position. He combined Galaxy Knight with Galaxy-Eyes Photon Dragon to Xyz Summon Number 62: Galaxy-Eyes Prime Photon Dragon. Next, he activated Monster Reborn to Special Summon Number 90: Galaxy-Eyes Photon Lord! Sarver immediately conceded, facing down a Prime Photon Dragon with 7200 ATK, plus a Galaxy-Eyes Solflare Dragon and a Number 90: Galaxy-Eyes Photon Lord! 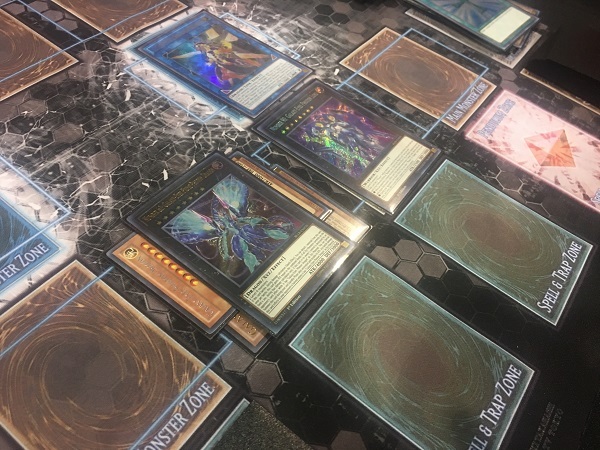 Semorris Powell takes a quick victory in Duel 1 with his Photon Galaxy Deck! Sarver started off the Duel by activating Instant Fusion and giving up 1000 Life Points to Special Summon Prank-Kids Weather Washer from his Extra Deck. He activated Prank-Kids Place next, and used its effect to add Prank-Kids Dropsies from his Deck to his hand. He Normal Summoned Prank-Kids Rocksies and combined his 2 monsters to Link Summon Prank-Kids Dodo-Doodle-Doo. He banished Prank-Kids Fansies from his hand with the effect of Rocksies in order to draw a card and Special Summon Prank-Kids Lampies. He used Polymerization to fuse Lampies from his field with Dropsies from his hand and Fusion Summon Prank-Kids Rocket Ride. He used the effects of Lampsies and Dropsies to gain Life Points and inflict damage, and Special Summoned 2 more Prank-Kids from his Deck. He then Tributed Rocket Ride to Special Summon 2 Prank-Kids monsters from his Graveyard, and after a flurry of plays, he had a field of Prank-Kids Bow-Wow-Bark, Toadally Awesome, Dropsies, Lampsies, Prank-Kids Place, and 2 back row cards, with nothing left in his hand! 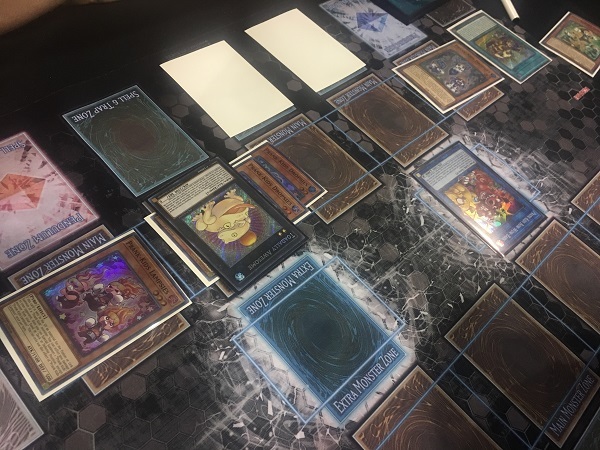 Powell opened up Duel 2 with Reinforcement of the Army, Photon Sanctuary, Galaxy Wizard, Galaxy Knight, and Photon Vanisher. 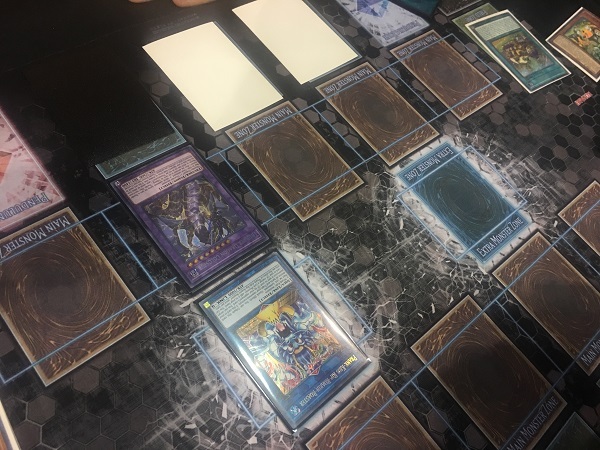 He drew another Photon Sanctuary for his turn, and then Sarver used Bow-Wow-Bark’s effect to Tribute it, add Rocksies and Fansies from his Graveyard to his hand, and protect all of his Prank-Kids monsters from destruction by card effects. Powell activated Photon Sanctuary to Special Summon 2 Photon Tokens to his field. He activated Reinforcement of the Army next, adding Photon Thrasher to his hand. Then, he Special Summoned Photon Vanisher and used its effect to add Galaxy-Eyes Photon Dragon from his Deck to his hand. He Tributed his two Photon Tokens to Summon Galaxy-Eyes Photon Dragon. In his Main Phase, Sarver activated Prank-Kids Pandemonium to fuse his 3 Prank-Kids together and Summon Prank-Kids Battle Butler, and used the effects of his 3 Prank-Kids that he fused together. After a couple of Life Points changes and after 3 Prank-Kids were Special Summoned from the Deck, Sarver Tributed Battle Butler to destroy all monsters on Powell’s field! Powell then Special Summoned Photon Thrasher. He activated Photon Sanctuary, but lost it to Toadally Awesome’s effect. Then, Powell Normal Summoned Galaxy Knight and used its effect to Special Summon Galaxy-Eyes Photon Dragon; but that prompted Sarver to flip Dimensional Barrier to prevent all Xyz Summons! Powell Link Summoned Galaxy-Eyes Solflare Dragon instead and passed his turn. Sarver Link Summoned Prank-Kids Dodo-Doodle-Doo and Powell destroyed it with Solflare Dragon’s effect. After a flurry of plays, Powell had Link Summoned Prank-Kids Rip-Roarin-Roaster. He then discarded Thunder Dragonhawk from his hand to Special Summon a Thunder Dragondark from his Graveyard and Tributed the Dragondark to Summon Thunder Dragon Colossus Linked to Rip-Roarin-Roaster. He Set 2 cards to his back row and attacked with his monsters before ending his turn. Powell drew a Galaxy Wizard on his next turn and conceded, unable to turn the Duel around. 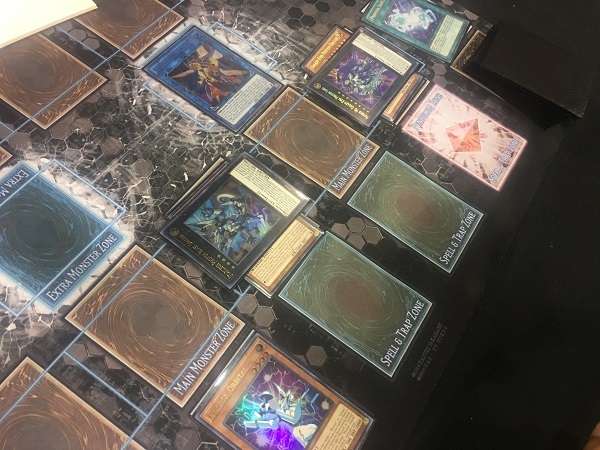 Powell opened up Duel 3 with Monster Reborn, Galaxy Brave, Photon Orbital, Photon Sanctuary, and Galaxy Knight. He Special Summoned Galaxy Brave from his hand by revealing Photon Orbital and then equipped Brave with the Orbital. He used Orbital’s effect to send it to the Graveyard and add Photon Vanisher from his Deck to his hand. He activated Photon Sanctuary to Special Summon 2 Photon Tokens to his field and then used both Tokens to Link Summon Galaxy-Eyes Solflare Dragon. He used its effect to return Photon Orbital from his Graveyard to his hand. He Special Summoned Vanisher from his hand next, using its effect to add Galaxy-Eyes Photon Dragon from his Deck to his hand. Then, he combined Vanisher with Galaxy Brave to Xyz Summon Starliege Photon Blast Dragon Linked to Solflare Dragon. He used its effect to Special Summon Galaxy-Eyes Photon Dragon from his hand and then Normal Summoned Galaxy Knight. He combined his Knight with his Photon Dragon to Xyz Summon Number 90: Galaxy-Eyes Photon Lord Linked to Solflare Dragon and then equipped his Starliege Photon Blast Dragon with Photon Orbital. Sarver drew a card and Powell used the effect of Number 90 to add a Galaxy-Eyes Photon Dragon from his Deck to his hand. Powell immediately conceded, unable to overcome Powell’s incredible field! 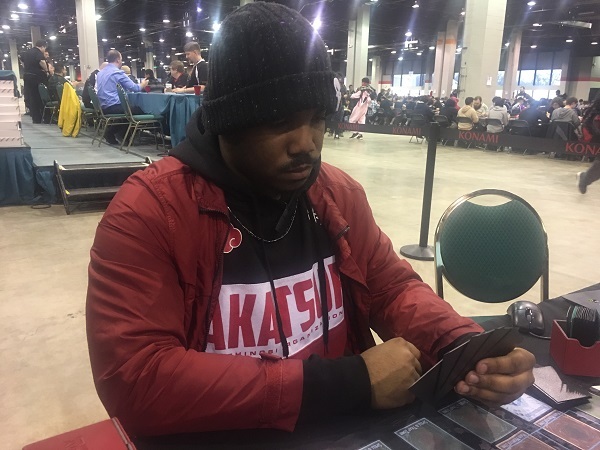 Semorris Powell advances with a 3-0-1 record using his Galaxy Photon Deck!